Kaifeng Hung (a PhD candidate in Oral Biology) successfully completed his Doctoral Dissertation Defense. "Distinct effects of the two major types of UV-induced DNA lesions on DNA damage responses"
Masaoki Kawasumi gave a talk at the UW Dermatology Grand Rounds. "Caffeine as a tool to better understand and inhibit UV-induced skin cancers". 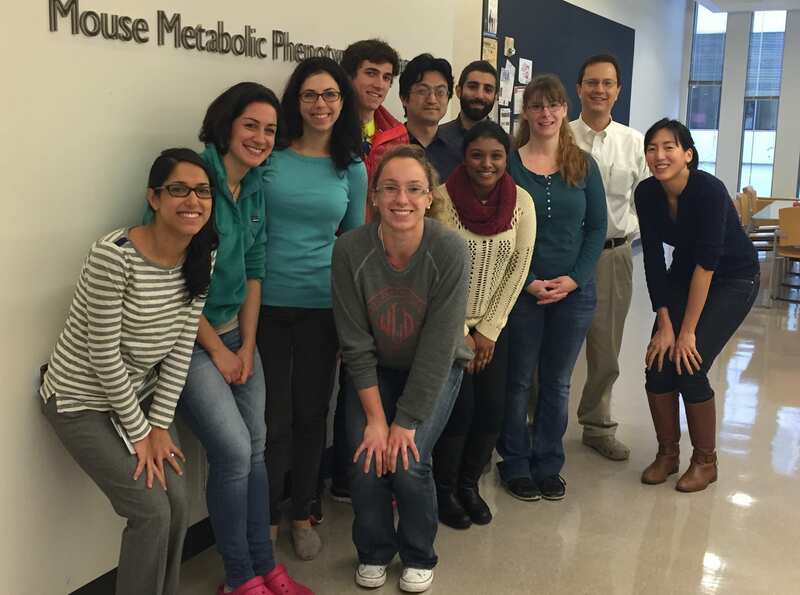 Lab Members gathered together for Pre-Thanksgiving photo! Masaoki Kawasumi's paper on small-molecule screening for novel ATR pathway inhibitors was published online in Cancer Research. "Identification of ATR-Chk1 pathway inhibitors that selectively target p53-deficient cells without directly suppressing ATR catalytic activity"
Dr. Nghiem was honored to deliver the 38th MH Samitz Lectureship at University of Pennsylvania on November 7, 2013. See PDF of program here. Masaoki Kawasumi, MD, PhD, received a highly selective, 3-year Research Career Development Award from the Dermatology Foundation. Masaoki Kawasumi, MD, PhD, leads a study, published in PNAS on the genetic mechanism by which caffeine diminshes UV-induced skin cancers. Masaoki Kawasumi received a Dermatology Foundation Research Career Development Award (three-year support).